Calhoun senior, Tylar White signed a letter of intent to attnd Avila University in Kansas City, Missouri on a Track & Field Scholarship. 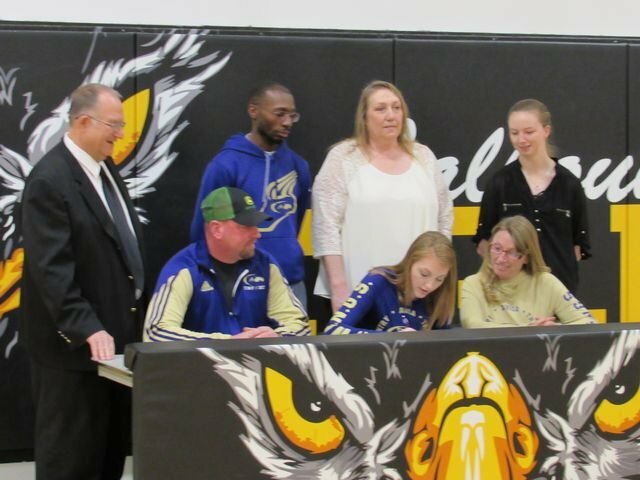 Tylar has been active in track throughout her junior high and high school career. She has had great success, qualifying and participating in state competition multiple times. She also excels in volleyball, basketball, and academically at Calhoun. Way to go Tylar!